Chocablog is ten years old today! Although I don’t get the chance to post as much as I would like these days, it’s safe to say this blog has changed my life in ways I couldn’t have dreamed of ten years ago. If you’d told me when I started that I’d have my own chocolate factory and shop, and would have just finished writing a book on the subject, I definitely wouldn’t have believed you. Chocablog was launched with the help of my friend Karen, and I’ve had help from friends throughout the last ten years. Ten years ago I knew very little about the world of chocolate, but simply wanted to start a blog about something other than my life – an entirely uninteresting topic. 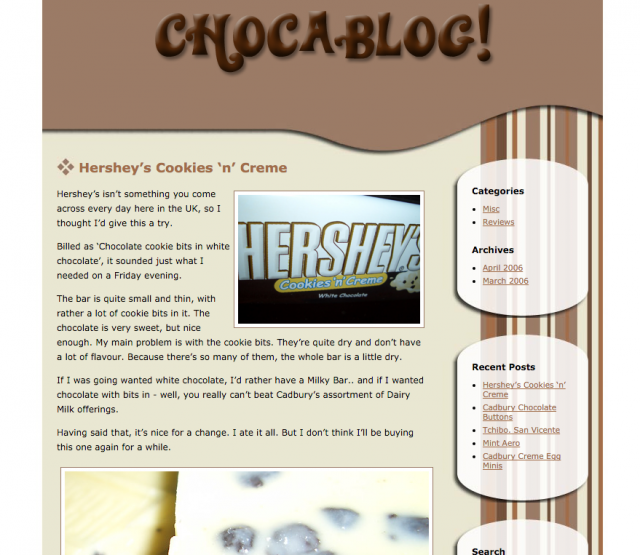 Hard to believe, but at the time there simply weren’t any other blogs dedicated to chocolate. There have been many milestones along the way, but one of the most important for me was meeting chocolatier Paul A Young, through is amazing PR Kate Johns. It was my first glimpse into the chocolate world and I found them both inspirational. Kate is also the brains behind UK Chocolate Week, a celebration of all things chocolate. I’ve long since lost track of the number of amazing, talented people I’ve met through Kate and her team. Chocablog has given me incredible opportunities to travel as well. I’ve visited the obvious chocolate destinations of Paris and Brussels many times, of course, but I’ve also been to chocolate festivals in Hawaii and Grenada, factories in Lithuania and Cleethorpes, and even visited a chocolate factory inside a prison in Milan. Somewhere along the way, I discovered that my particular passion was the world of bean-to-bar chocolate. The extraordinary individuals who make chocolate from scratch are some of the best people I know. In 2013 I helped launch Cocoa Runners, now the world’s premier craft chocolate club. 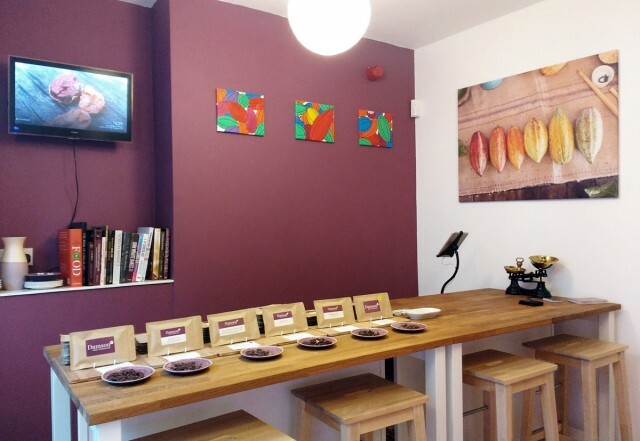 Last year, I decided to risk it all and have a go myself, launching my own bean-to-bar company Damson Chocolate, first making chocolate at home, then quickly signing the lease on a shop in Islington. The last 12 months have been some of the hardest and most rewarding of my life. I’ve barely had a day off – something my body hates me for – but I wouldn’t change a thing. Want to help me celebrate? Try some of my chocolate! Use the coupon code CHOCABLOG10 at checkout to save 10% on your order!